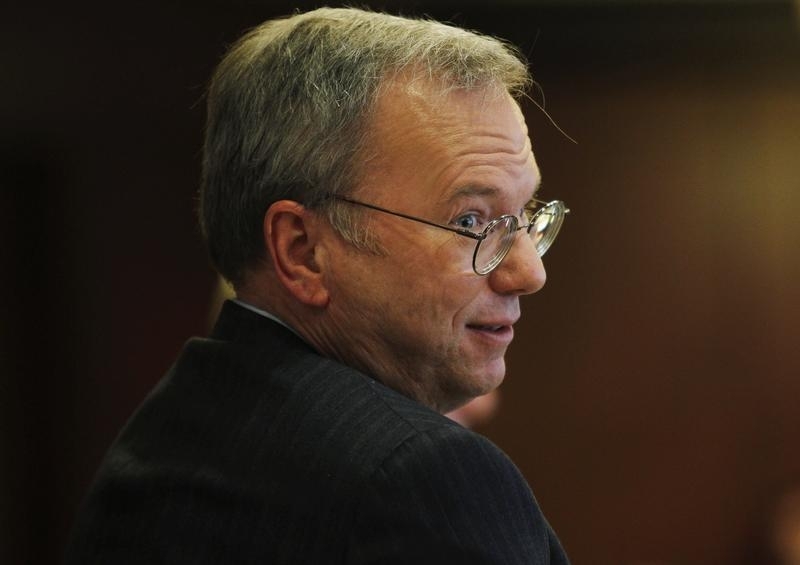 Eric Schmidt is reprising the adult supervisory role he played with Google’s young founders. Not for him the frivolity of, say, a sports team investment like the $2 billion Steve Ballmer paid for basketball’s Los Angeles Clippers. The Google executive chairman’s family vehicle, Hillspire, is instead buying 20 percent of $36 billion hedge fund firm D.E. Shaw from the estate of bankrupt Lehman Brothers. Passive investments in private hedge fund management firms are awkward assets. Controlling founders, in this case David Shaw, can typically veto any transfer. They also value their privacy. Affiliated Managers made Lehman an offer north of $500 million for the same stake in 2014, according to news reports, but that deal didn’t happen. One reason may be that public companies like AMG can’t guarantee keeping information on their holdings to themselves. That leaves few natural buyers. Lehman bought pieces of a number of hedge funds before the financial crisis, and some other institutions have also purchased slices. Neuberger Berman’s Dyal Capital Partners unit specializes in such investments, recently snapping up a 20 percent stake in activist firm Jana Partners. Family offices regularly seed new hedge fund firms. But Schmidt’s purchase of a big existing stake is unusual. Lehman originally paid at least $750 million, according to media reports. But 2007 was the tail-end of a financial bubble, and D.E. Shaw’s business mix was different then. The roughly 5 percent ratio of market value to assets under management for two publicly traded hedge fund firms, Och-Ziff Capital Management and Fortress Investment, would imply a value below $400 million for 20 percent of D.E. Shaw. That’s a very rough comparison, though, and it may be that Schmidt paid something near AMG’s reported offer last year. Assuming the price represents the five-to-seven times earnings typical in such deals, Hillspire will get an investment yield in double digits, a rare beast these days. Still, such a big bet on one firm is a testament both to the Google chairman’s huge wealth – estimated by Forbes at $9.3 billion – and to his belief in D.E. Shaw. It’s a very grown-up kind of investment. Will Lehman repeat history with DE Shaw? The D.E. Shaw group, a hedge fund firm with $36 billion of investment capital, said on April 23 that Google Executive Chairman Eric Schmidt’s family office had acquired the 20 percent interest in the company previously owned by the bankrupt Lehman Brothers’ estate. The Schmidt family vehicle, called Hillspire, is based in California. Schmidt said in a statement that he knew D.E. Shaw founder David Shaw and was a longstanding investor in the firm’s hedge funds.